Werner MTIAA Series Aluminum Telescoping MultiLadders | Type IAA 375 lb. Rating - Industrial Ladder & Supply Co., Inc. 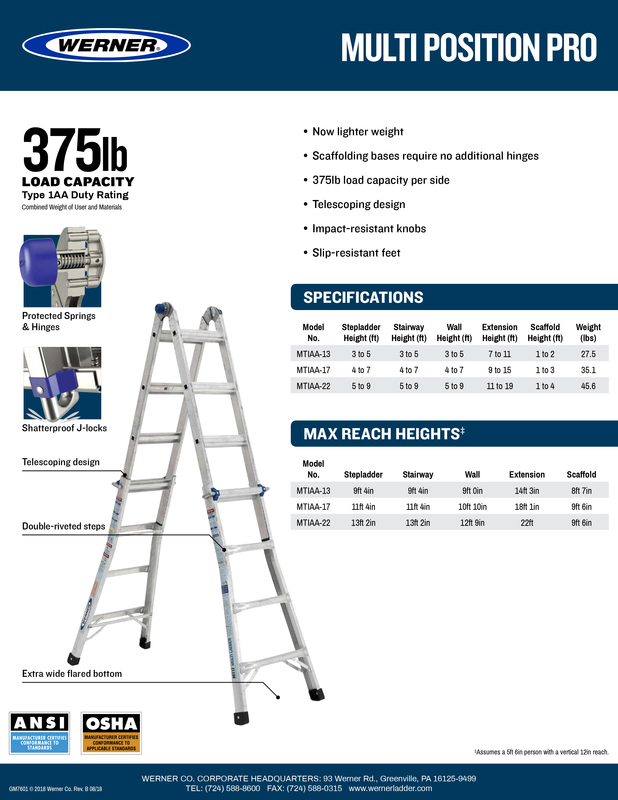 The light weight 375 lb rated MTIAA Telescoping Multi-Position Ladder is versatile and easy to transport. 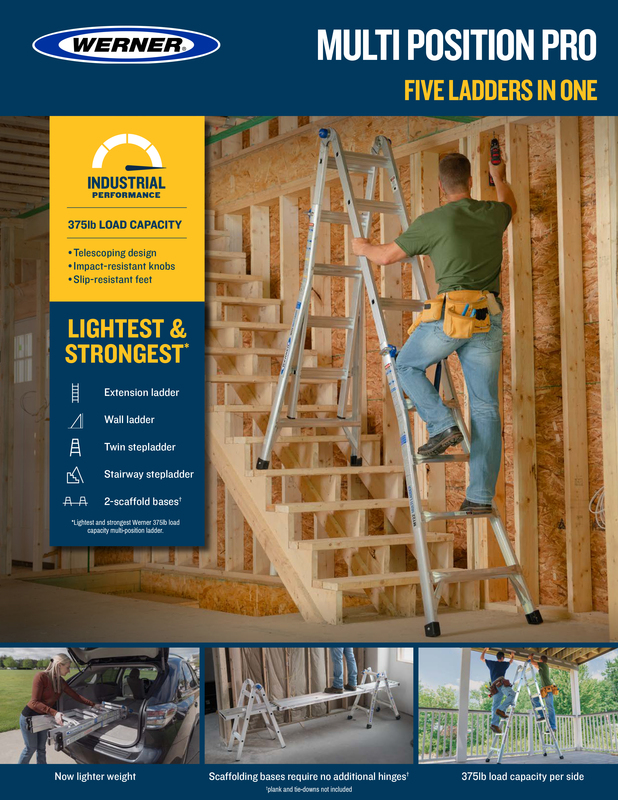 The adjustable telescoping design allows the ladder to be used in 5 different positions -- Twin Step Ladder, Stairway Step Ladder, Extension Ladder, Wall Ladder and as 2 Scaffold Bases. In the Step Ladder mode, this hybrid ladder can be used for one or two person jobs with a duty rating of 375 lb per side. The feet are slip resistant and the ends of the ladder are flared for firm support. Smooth curved rails allow for comfortable climbing. With its many uses, this Multi-Position Ladder fits all your climbing needs.